Have you ever failed to reach your colleagues with a phone call when someone is waiting? Imagine that you push a key and everybody in your team is listening... what a beautiful feature! Hands on your heart, making phone calls are not the most efficient way always if you want to reach a entire team of people and speaking in a PA-system is not very customer oriented for internal messages, everyone on your premises will then hear (incl. your customers). Use the PTT function instead. With SMART1 PTT you have a direct line to your colleagues, they just need to carry the device with them and you will instantly get their attention. The PTT call will be heard directly in the speaker and there is no need for answering the call, everything is just automated. Almost unlimited number of groups. 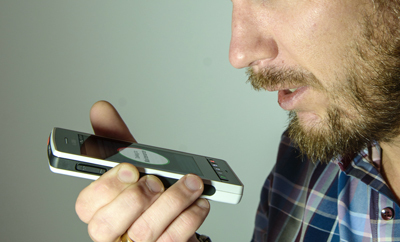 PTT is a one-way communication service mainly used in the past by mobile radio solutions and speech pagers. It is a simple but effecient way of pushing a button and speak your message, release the button and listen for response from anybody in your team or at your frequency. The obvious and clear benefit is that you reach everyone at the same time and anybody can reply, perfect for reaching out to your team with group information, enquiries or group tasks. SMART PTT is now for the first time ever reinvented for a modern onsite mobile solution. PTT works directly in the SMART system and is not dependent of any mobile network, and IP-PBX or any 3rd party device. It is natively built into the base stations of the SMART system and managed from the SMART Manager.